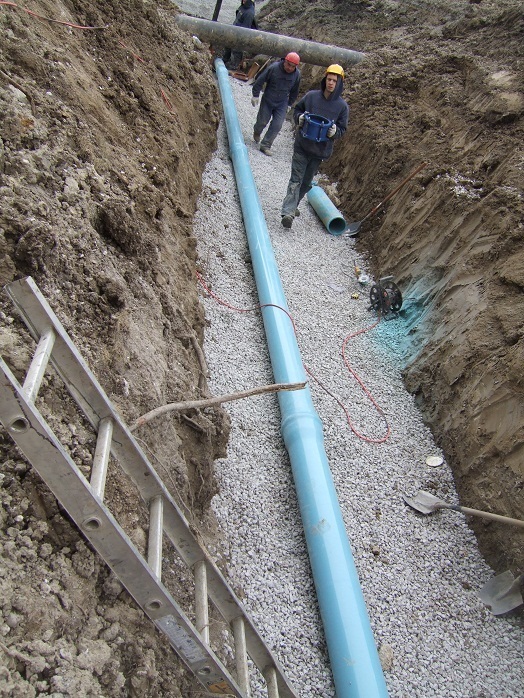 Toronto Drain & Plumbing replaces and installs water service lines. If you have low water pressure our licensed plumber will help you determine the cause of this and recommend a solution. If you are concerned that you may have lead in your water service, our licensed plumber can determine if the water service entering your water meter is made from lead or not. According to the City of Toronto website, older homes built prior to the mid-1950s are more likely to have lead water services. If your home was built between the mid-1950s and 1989, you likely don’t have a lead service, but there might be lead in some fixtures or the solder used to connect your pipes. Homes built after 1989 are unlikely to have lead water services, lead solders or joints. If you are concerned about lead in your water service and the home was built before the mid-1950s, the City-owned portion of the water service can also be replaced on a priority basis. Please make arrangements with Toronto Drain & Plumbing to replace your portion of the water service and then apply to have City-owned portion of the water service replaced.